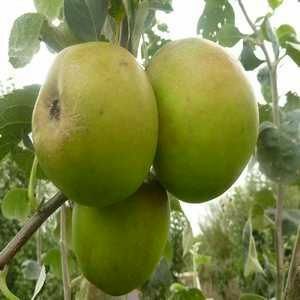 Claygate Pearmain - Apple Tree £12.75 - Dessert Apples - Late Season Apple Trees and Fruit Trees For Sale. Buy at competitive prices with wholesale discounts. This nutty, aromatic eating apple was very popular in Victorian England and was often planted in the orchards of manor houses at the time. It originates from the village of Claygate, Surrey, U.K, in 1821. It has variable russetting with pink/red flushes over green, giving a silver tinge. 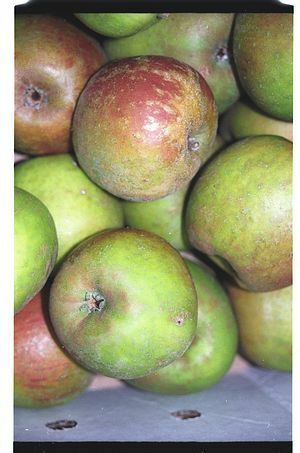 Its flavour has a good balance of sugar and acidity and as a variety Claygate Pearmain offers excellent disease resistance. It will do well for organic growers and for those in colder or higher rainfall areas.